I finally got a chance to read The Sky is Everywhere. I’d heard a lot of good things and I wasn’t disappointed. It tells the story of Lennie who’s just lost her sister but can’t stop thinking about boys. It’s funny and sad and full of moments that make you wonder about life, love and death. The book contains poems written by Lennie which tie the story together. It sucked me in and held me tight while I frantically turned the pages. A beautiful book that I highly recommend. I can’t wait to read it again. 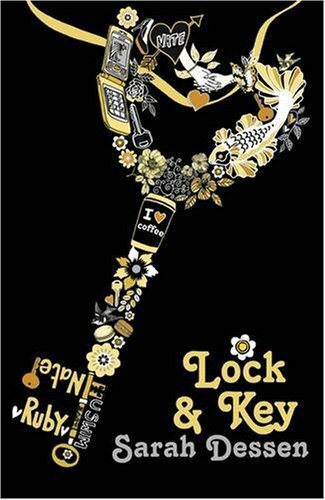 I also picked up Lock and Key, my second Sarah Dessen. I’m fast becoming a fan of hers. This book is the story of Ruby who is forced to move in with her long-lost sister after her mum disappears. It’s a going-of-age story filled with family drama and romance. I loved following Ruby’s journey but all the characters in the story are well-rounded and you enjoy getting to know them all. I loved the symbolism of the lock and key, and it left me wanting a key necklace of my own. 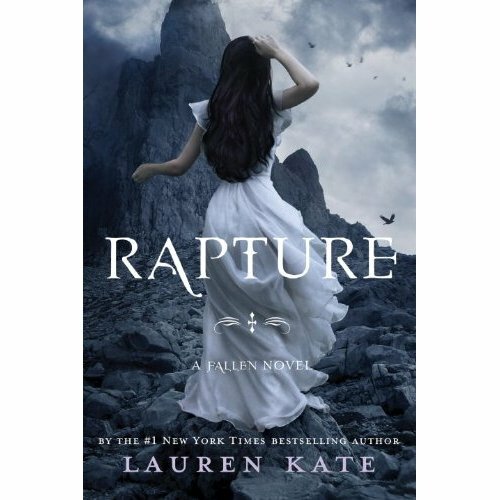 Rapture is the final book in the Fallen series and follows Luce on her final journey to discover just why she and her angel love Daniel are cursed and how to stop Lucifier from wiping out their history. This book is far more based on religion that the previous books, the angels and their history come to the front and we finally understand Luce’s role in it all. Plus we see what God is like. I wasn’t too shocked at the outcome although they were a couple of good twists along the way, and the ending surprised me at first but then I realised it was the only ending they could have had. Not a perfect series but it’s imaginative and original and kept my interest throughout. I had a feeling RAPTURE would be eh-eh. I’ve read the other 4 books in the series and I knew it would come to this. On the other hand, I have THE SKY IS EVERYWHERE on my TBR list on Goodreads and I think I’ll read it now. Thanks for these suggestions! It’s hard sometimes to maintain a series. I hope you enjoy The Sky is Everywhere, let me know! Ah I’m so jealous that you got to go to Spain! I’ve wanted to go there since I was little! You are so lucky! :] I LOVE SARAH DESSEN! I’ve read ‘Someone Like You’, ‘Just Listen’, ‘The Truth About Forever’ and ‘Lock And Key’ :] I’m definitely a fan! Ah I hope you get to go too! I think I’ll definitely read more from her. Twilight always good for a re-read 🙂 Yay for blogs! Vacation reads are the best. I’ve been reading the Fifty Shades trilogy. I’m on book three. I have been on the last one for a loooong time. I didn’t zip through them like everyone else. It seems to have a lot of repetitive descriptions. I hate to admit it, but that bugs me. I wish she had used different words, or at least not as many of the same scenes. I’ve been avoiding the trilogy, it’s so interesting how some people love it but others hate it. It’s the Marmite of books! They all sound really awesome (and that key necklace does sound appealing)!! Just finished Cinder. Awesome. A Monster Calls by Patrick Ness is next on my reading list, followed by Entwined. I’ll look out for those ones! Plus I want to read “The Impossible Dead” by Ian Rankin once my Dad finishes it…! Pretty much everything Sarah Dessen writes is good. I’m starting to discover that! Great to hear you can have a reading spree! Enjoy! 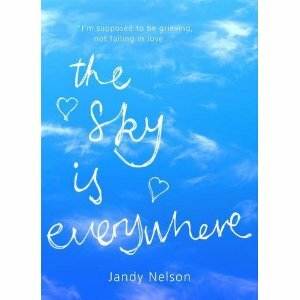 Woop woop, you finally read The Sky is Everywhere! 🙂 I’m glad you enjoyed it, I thought you would as I loved it as well. I quite liked Lock and Key too but it wasn’t my favourite. Unfortunately, I really didn’t get on with the Lauren Kate books, I gave up after Torment. Yep I did 🙂 Thanks for the tip!